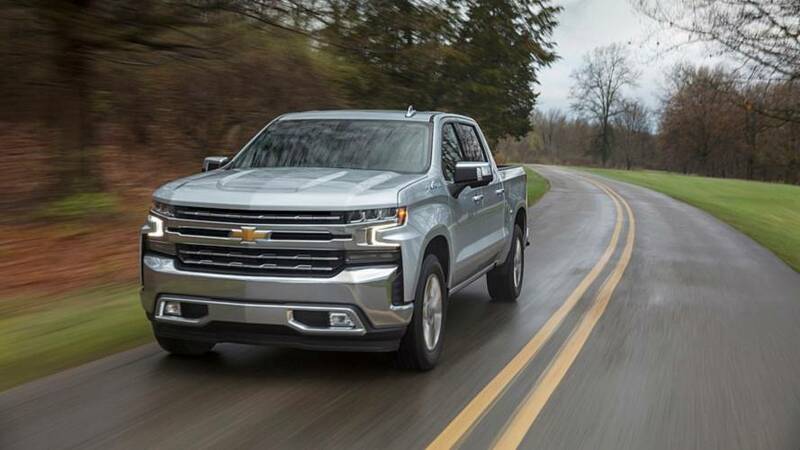 During the summer, General Motors made the surprising announcement of offering a 2.7-liter turbocharged four-cylinder that the automaker calls the Tripower in its strong-selling Chevrolet Silverado and GMC Sierra pickups. 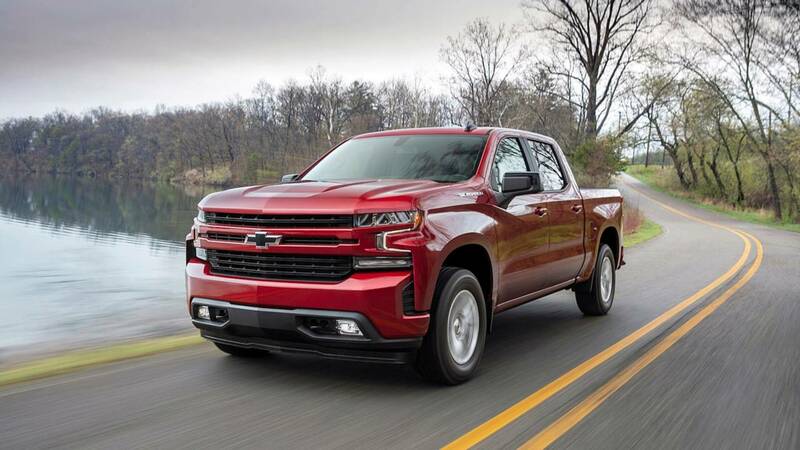 Now, the company opens up about more of the four-pot mill's specs in the 2019 Silverado so that we can see how the first four-cylinder, fullsize truck in recent memory stacks up. 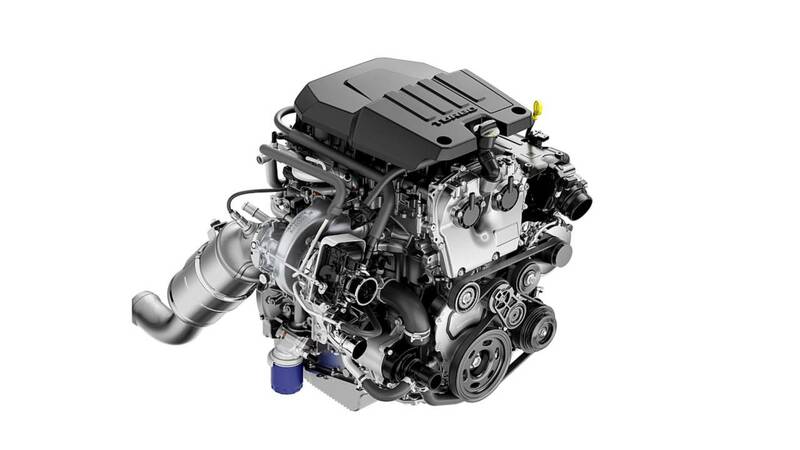 The 2.7-liter turbo four-cylinder isn't technically the base engine in the Silverado. It comes standard on the volume-selling LT trim, but the basic Work Truck, Custom, and Custom Trail Boss still come standard with the old 4.3-liter naturally aspirated V6. The 2.7-liter turbo produces 310 horsepower (231 kilowatts) and 348 pound-feet (472 Newton-meters), and we are comparing it against the powerplants in the 2018 Ford F-150, 2018 Nissan Titan, 2019 Ram 1500, and 2018 Toyota Tundra. We include two Ford engines below because Chevy's new mill sits roughly in between the Blue Oval's offerings. The rest are the base powerplant for each model. Given the relative lack of displacement, Chevy's four-cylinder definitely stands up to the competition. In terms of horsepower, it ties with the 4.6-liter V8 in the Tundra to take third place. The four-cylinder also ranks third place in torque behind Ford's optional 2.7-liter EcoBoost and the much larger, 5.6-liter V8 in the Nissan Titan. So far, Chevrolet only provides estimated city fuel economy for the 2.7-liter, so let's see how it compares. The new four-cylinder is in at least a three-way tie to lead the class in fuel economy. According to the EPA, the flex-fuel version of the Ford V6 also gets 20 mpg city, which would make the results even closer. Chevy doesn't have 2019 model year mileage info for the 4.3-liter V6, yet. 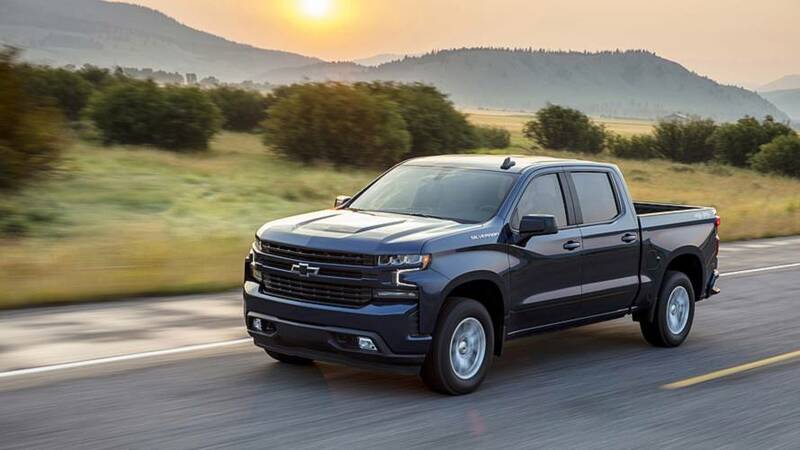 A truck must be able to work, and with its latest announcement, we now know about the 2.7-liter turbo's payload and towing capability in the Silverado. Keep in mind, these figures vary depending on a pickup's configuration, including the drivetrain, cab style, and bed length. The specs below reflect the best possible numbers for a truck with each engine. Details for the existing 4.3-liter V6 in the new Silverado aren't yet available. Once again, the Silverado's turbocharged four-cylinder looks pretty good, here. Its payload is in third place among these pickups behind the Ram's V6 and Ford 2.7-liter EcoBoost – an optional engine on the truck. Towing appears a bit weaker at 7,200 pounds, which only ranks above the 4.6-liter V8 in the Tundra. We don't yet have info for all of the 2019 model year pickups, but the 2.7-liter turbo starts at $38,395 in the Silverado. It'll be on sale in the fourth quarter of the year.